The Ueno Tenjin Festival, an autumn festival of Sugawara Shrine, is held annually from October 19 to 21, 2018. 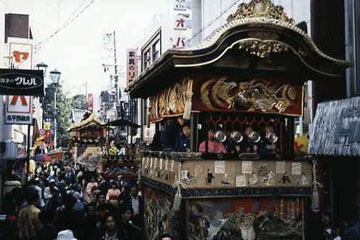 On the main day of the festival on 21th, nine floats and a procession of ogre are paraded in the streets. Danjiri are exquisitely decorated festival floats. 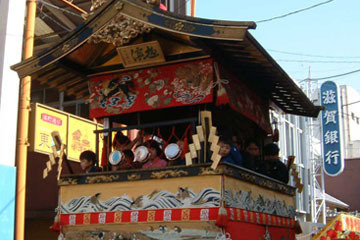 Danjiri floats are pulled forward by many people using the float’s ropes, while people sitting inside the float play the drum and flute. 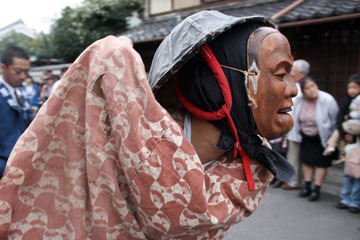 Another feature of the festival is the procession of ogre. A procession of more than a hundred ogre walking is so unique and such processions can be seen almost nowhere in Japan. Above all, when “hyorotsuki oni” or staggering ogre with large bells on their back appear, small children cry out and the crowd cheer. The evening of 24th is “Yoimiya”, meaning the eve of the festival, ou can see the floats beautifully lit up with many paper lanterns. Ueno Tenjin Festival has been designated as a National Important Intangible Folk-cultural Property. Iga Ueno NINJA FESTA is held annually from early April to May 5th. On Saturdays, Sundays and national holidays during this festival period, various ninja experience spots are open, where you can experience throwing ninja stars and using a blowgun among others. 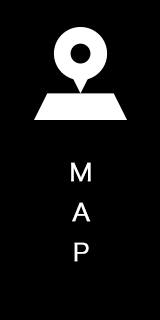 Moreover, various events of the day as well as a costume competition are held. 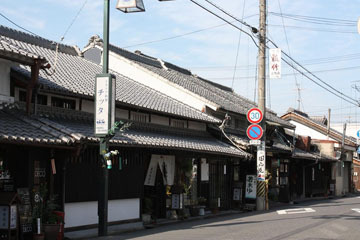 Get dressed in a ninja costume at a “ninja transformation spot” and enjoy strolling through the castle town of Iga Ueno. 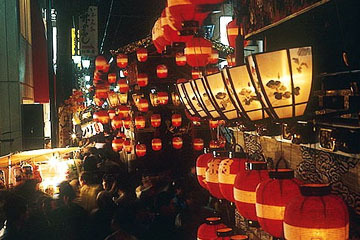 Many illuminated works of art and lanterns light up the castle town (for a few days in early October). Dolls Festival of Iga Ueno castle town. A range of dolls from old to new are on display at merchant houses and stores that still remain at the castle town (from late February to March 3rd (Girls’ Festival Day)). The Castle Festival is held annually at Ueno Castle from September to November. 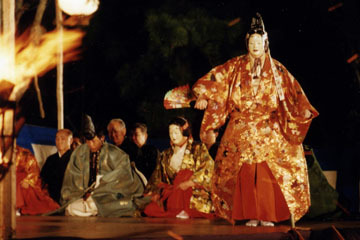 During the festival period, many different events including the Boys’ Kendo (Japanese fencing) competition, takigi-noh (outdoor noh performance held by firelight), Kyu-do (Japanese archery) competition and a drum festival are held.